As much as we at SnApp Real Estate talk about the technological innovations that allow us to create the best mobile apps for real estate agents and brokers, there are certain skills that professionals must possess in the realm of iOS app development or to join a mobile app development company. Obviously, creativity and the ability to think outside the box are important traits, but there are a few technical skills you need in order to join the ranks of some great mobile app developers in the real estate industry. This tip is a general one, in that all iOS app developers should possess some type of special reasoning. According to Udacity.com, “The ability to think in 3-D, and visualize the spatial relations between objects, is critical for successful app developers.” Simply put, when you design interfaces for mobile platforms, you should be aware of how users will interact with your application. This probably goes without saying, but we think it’s important to mention anyway. If you’re going to get into iOS app development within the real estate industry, it’s beneficial to have some knowledge of real estate. And by “some knowledge” we mean, you should understand what technological functionality and industry capabilities are important to real estate professionals. 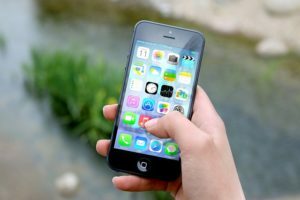 Successful iOS apps are known and admired for being supremely intuitive; especially in the real estate industry intuitiveness is a commodity that can’t be overlooked by agents and brokers. The reason for this is that these apps adhere to a strict set of design guidelines. Any iOS developer should also understand how this data is stored. When we say “networking,” we don’t mean in the sense of interacting with others or using your connections to benefit yourself. Networking as we’re using it means creating an application for the real estate industry that “talks” to the web. Try to think of an app on your phone that doesn’t interact in some way with the internet. Chances are you probably couldn’t think of one. For that reason, per Udacity.com, it’s crucial for you to understand how to send and receive data from the network. This entry was posted in Mobile App Development, mobile development, real estate mobile apps and tagged ios app development, mobile app development, mobile development, real estate mobile apps. Bookmark the permalink. ← Can iPhone App Development Benefit Commercial Real Estate?